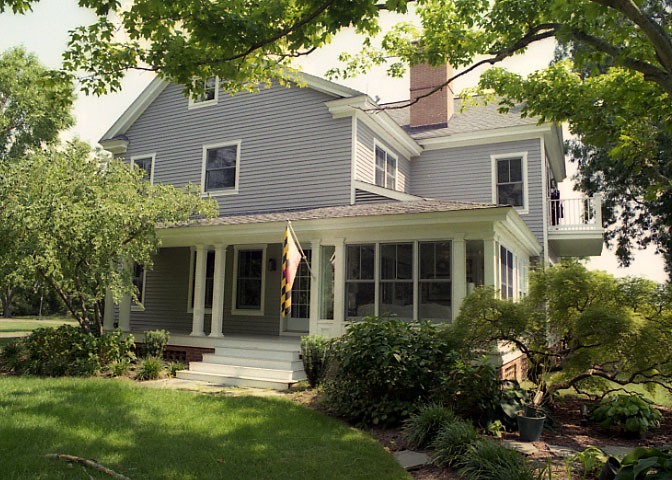 This Architecturally designed Victorian style Farm House is sited on the footprint of a demolished circa 1950’s house. The project entailed demolition and building of one half of the house, followed by the same for the second half per permit requirements. Another view of the Victorian style Farm House. The Cedar Clapboard siding completes the local style. 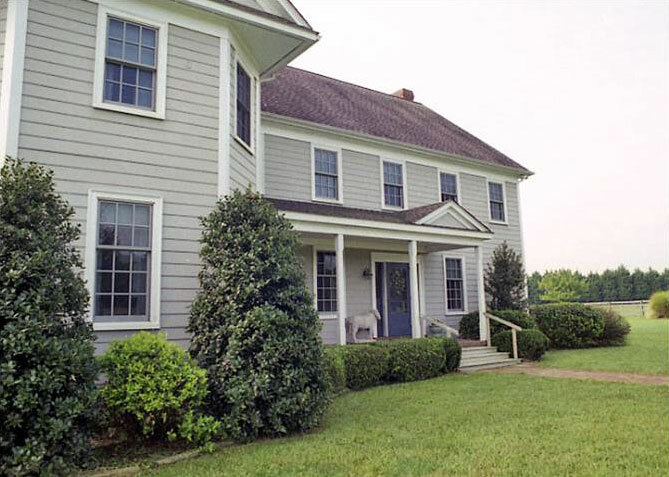 An Eastern Shore Tidewater home originally designed and built by Nuttle Builders in the 1980’s with later additions including a garage, guest house, large sunroom and master suite. 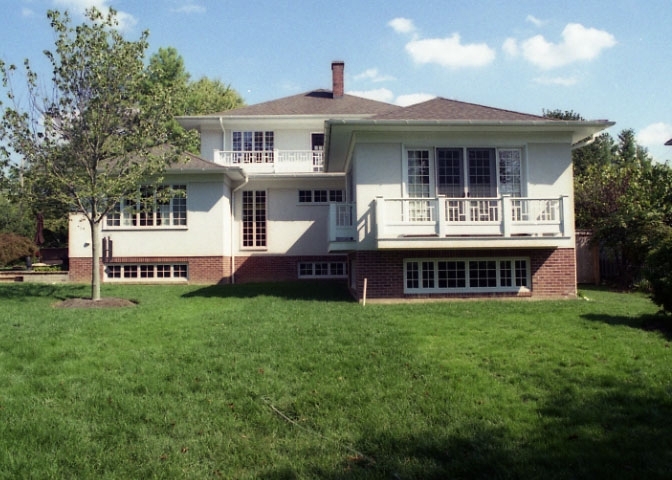 Water view of Tidewater house showing expansive sunroom with walkout deck above. 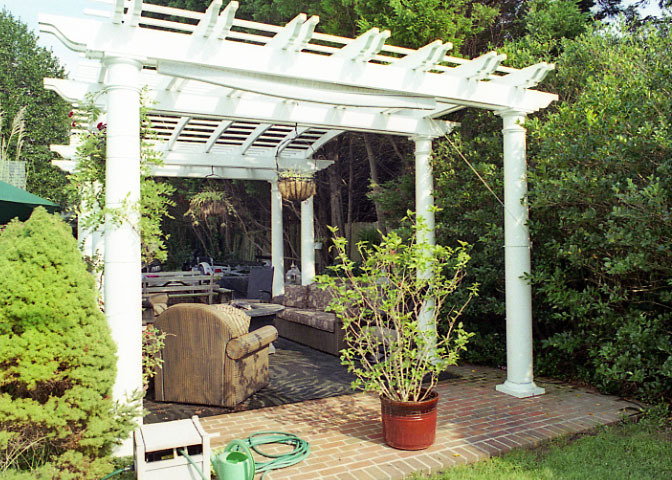 A waterfront pergola adjacent to the pool provides a cool area for family and friends. A new design/build Traditional style Farm House on a working horse farm. The home includes Unique Custom Millwork, Hardi Cement siding and beautiful Brazilian Cherry Floors. 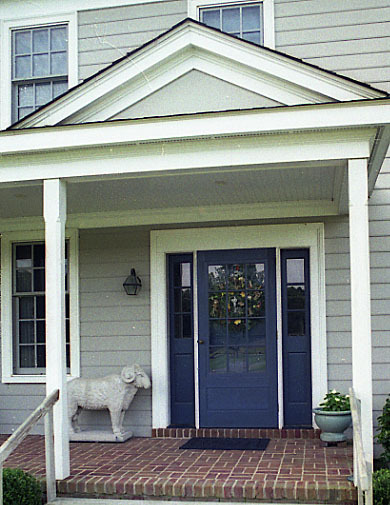 A close-up of the front entry of a Traditional Farm House. A new custom designed contemporary waterfront home. 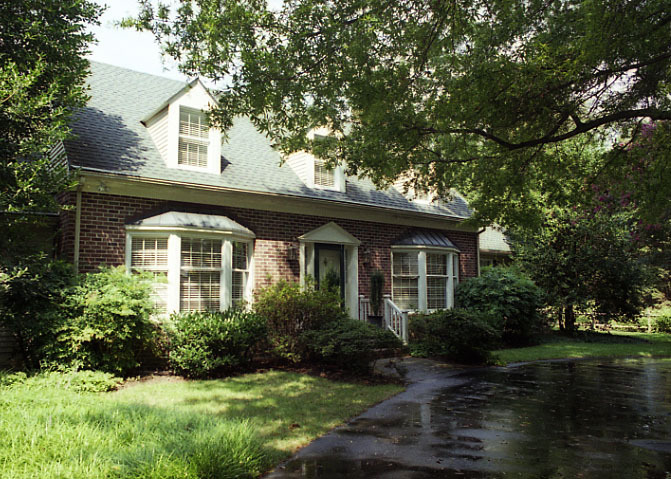 It features custom stone work and a ramp entrance from the garage to the basement. 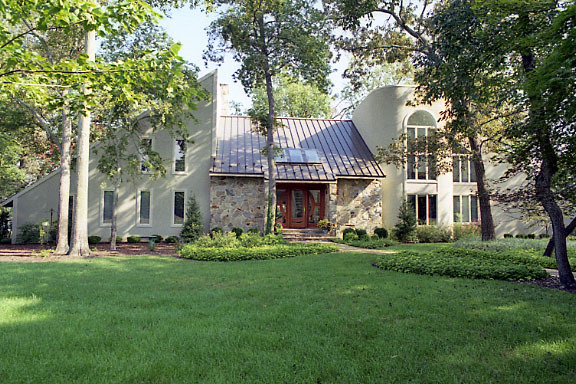 This large Contemporary Home is a custom design/build and includes a stucco and cedar exterior, standing seam metal roof and a large deck with water view. The interior features large open spaces and a massive stone fireplace. 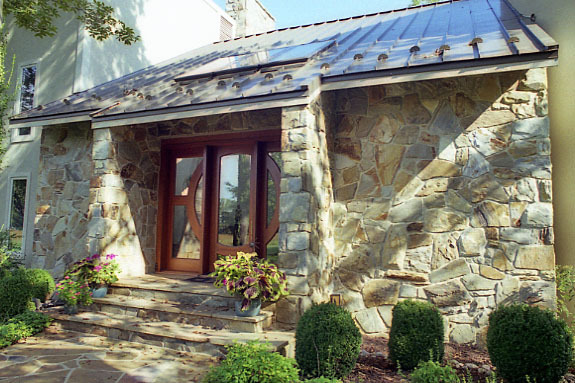 The entryway includes Tennessee Crab Orchard Stone and a standing seam roof. 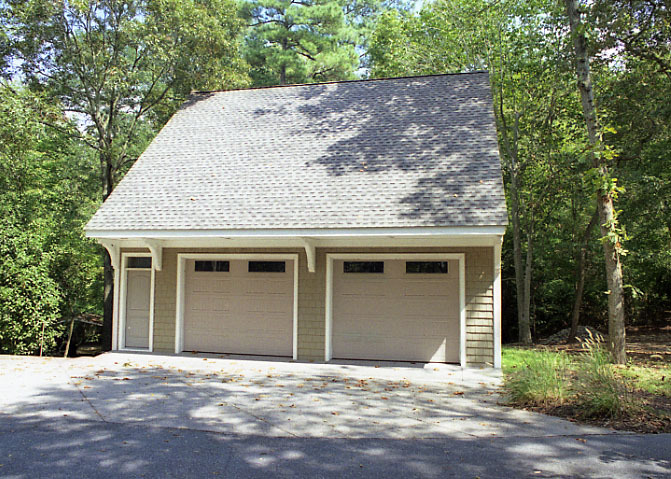 A custom design/build Carriage House garage.